Two decades ago, Doomsday was a boondoggle. Now he's back. How did this happen? Superman died 24 years ago. The DC Comics braintrust decided to kill Superman in late 1992, in a seven-part saga that ran through all four monthly Superman comic books – plus a brief detour into the Justice League of America series, at the time home to C-list backbenchers like Booster Gold and Guy Gardner and Blue Beetle. Superman’s death was not a big twist. It was publicized ahead of time. I know this, because I started collecting Superman comic books in 1992, because I had heard that Superman was dying. I was seven. There was no Internet in my house. How did I know they were killing Superman? The radio? The seven-part saga was called “Doomsday!” It was named for the new bad guy, who was tasked with the killing of Superman. It might sound kind of weird, the idea of suddenly introducing a brand new villain and then having that brand new villain kill the most well-known superhero of all time a month and a half later. The theory was, maybe, that none of Superman’s existing villains were really bad enough to actually kill Superman. Or maybe DC Comics knew that announcing The Death of Superman would bring in some new readers – and maybe they didn’t want those readers to get hung up on any of those weird villains Superman had been fighting. So we meet a strange and formless creature, held captive in some techno-subterranic prison. You know how, in Lost season 1, the Hatch could’ve been a science experiment or an alien spaceship or a dimensional portal? That’s whence came Doomsday, it seemed. He/it emerged into the world covered head-to-toe in ugly prison green with a pair of red goggles. Squidley tentacles shackled Doomsday, so that only the creature’s left arm was free. With one hand tied behind his back, Doomsday natural disaster’d his way across America. He tore apart the Justice League. He put Blue Beetle into a coma. Doomsday doesn’t do enunciation. The sheer brutality of his movements isn’t just a direct assault on Booster’s body; it’s an assault on his whole paradigm. It’s like watching a character from FernGully fight The Mountain from Game of Thrones. Notice how Doomsday’s lone laughs are treated as sound effects, not dialogue. Notice how, by the end, Booster Gold can’t even vocalize his pain. He might be dead. The Death of Superman story arc is stupid, really, for a number of reasons. Doomsday is a nonsense creation. You would think that part of the fun of killing Superman would be seeing how the writers come up with an elaborate methodology for circumventing all his superpowers. But Doomsday is just a punchkiller with stabby skin. A lot of people say that Superman doesn’t have any “good” villains, but that’s just bro-talk. Yes, Brainiac is a green guy who thinks hard. Yes, Mxyzptlk is an elf with a funny hat. Yes, Toyman makes evil toys. Yes, Lex Luthor is bald. I guess that seems “silly,” in the sense that anything about dudes wearing capes is kind of base-level silly, and you either struggle mightily to pretend it isn’t silly or you just get over yourself, bro. Because the truth is that Doomsday is sillier than any of those weirdo villains. He had no motivation: He just loved killin’. And he had no real design: Muscles and red goggles, and then just muscles. Jurgens also wrote and illustrated Superman #75, where the actual death happened. It is kind of beautiful, and seared in my brain. The whole issue is just one-page splash pages, each one a tableau of trauma – Superman kissing Lois Lane goodbye, Superman and Doomsday killing each other at the same precise moment. The same month DC Comics killed Superman, they introduced Bane, the character who would go on to break Batman’s back. Bane, also, was muscles and red goggle eyes. He had more motivation than Doomsday, which actually made him a much lamer character. Doomsday was interesting only because he was unknowable. Conversely, in Batman’s version of the Superman #75 fight, Bane gives a speech to Batman, then beats him up, then gives another speech. I’m going to say something that maybe you will disagree with, but: Nobody likes Doomsday, and nobody likes Bane. These are two characters who were introduced with the same basic idea: To make a really, really, really, really bad guy, someone much scarier than the Brainiac-Riddler continuum of comic book rogues. They are both draped in a very ’90s notion of baditude. They kill people. They don’t have funny schticks. They don’t have any schtick. Bane is a ‘roidhead: Does that count as a character trait? What is there to hold onto, with characters like this? They don’t have personalities. They don’t have intriguing weaknesses, or unique strengths. Maybe, if you like Doomsday and Bane, you like them because they have none of those things. They aren’t tormented psycho-trauma maniacs with cultgangs, like most Batman bad guys. 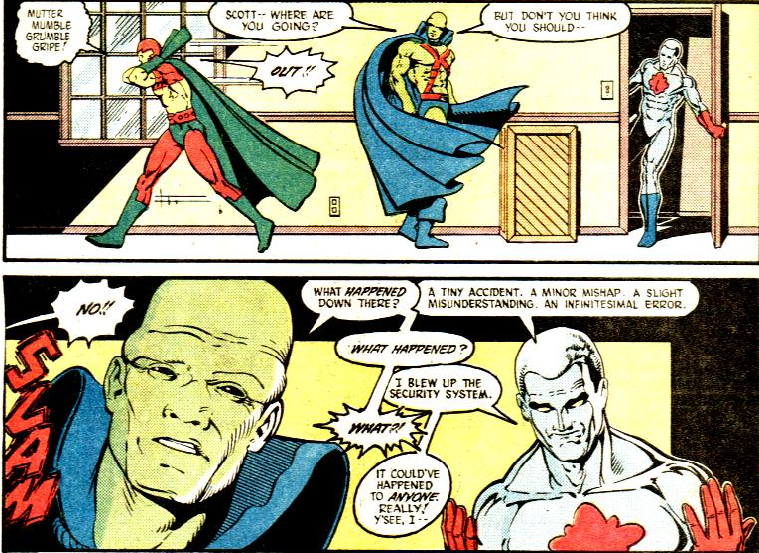 They aren’t mad-scientist alien-ish pranksters, like Superman villains tend to be. They are EVIL. You don’t have to overthink them. You can just enjoy watching them get beaten up. Or maybe you can just enjoy watching them beat people up. I collected every issue of the Death of Superman. And I stuck with Superman comics for years: Through the initial “resurrection” of Superman in four different collectible bodies – Superman as a Cyborg! Superman as a moody teenager with an earring! – and then the longhair years. I know, logically, as a grown man, that the Death of Superman was just a cheap stunt, designed to drive up sales. I know that the cheap stunt worked: That Superman #75 sold out immediately. And “sold out” is a phrase with multiple meanings in this sense. Yes, Superman #75 sold well. But did it really earn those sales? Couldn’t you argue that killing Superman was one of the all-time boondoggles? Maybe the formlessness of Doomsday is a joke: An admission that nothing about how Superman died really mattered. The Death of Superman was supposed to appeal to the big collectors’ market, like everything else from that craven era. A few years later, that market dried right up. Somehow, though, I have to hold two thoughts in my head. First: The Death of Superman is one of the worst moments in the cultural history of comic books, a cheap publicity ploy that earned lots of money only by creating a whole foundation for lame spectacle that practically ended the idea of Comic Books as a going concern. Second: The Death of Superman got me into comic books. And it taught me how to read comics. Ultimately, it affected what I thought comics were supposed to be. Like, up in the first paragraph of this essay, I referred to Booster Gold and Guy Gardner and Blue Beetle as “C-list backbenchers.” But years later, I went back and read the Justice League run by J.M. DeMatteis and Keith Giffen and Kevin Maguire (and various others.) It’s common now to joke about lame DC superheroes, because we’re all in this weird vortex where lots of people who never read comic books before 1992 think watching a couple Christopher Nolan movies and knowing who Deadpool is equals coinnoisseurship. But the bountiful humanity of the DeMateis/Giffen/Maguire Justice League puts any easy cynicism to shame. 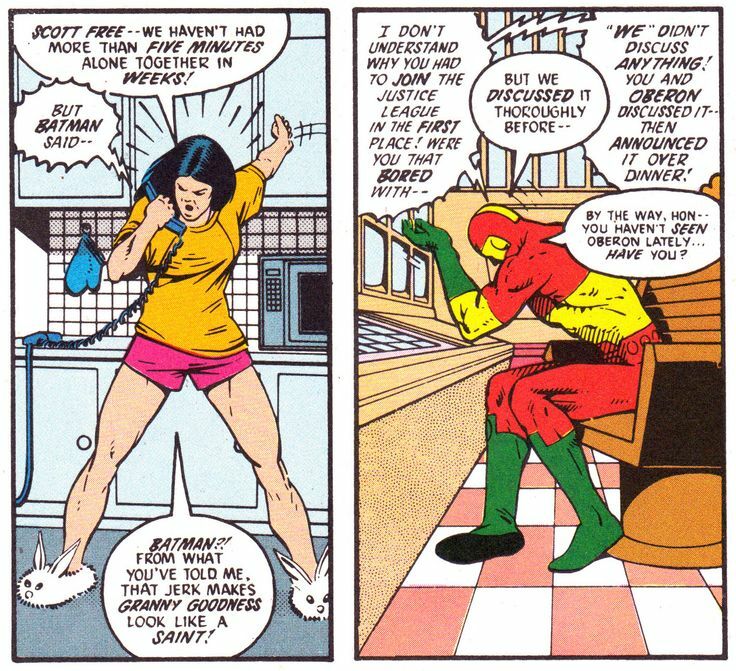 Mister Miracle and Big Barda get into marital spats, and the Atom has a very Office-style chat with Martian Manhunter about accidentally blowing up the security system, and Guy Gardner can’t find his darn power ring. A few years later, a lot of those characters would just be cannon fodder for Doomsday. At the time, this did not strike me as a problem. I was seven. What the hell did I know? A strange postscript on the Doomsday arc. A couple years later, after Superman came back to life, there was a sequel miniseries, also written and drawn by Jurgens (with an assist from Brett Breeding.) The series was called Superman/Doomsday: Hunter/Prey, which is still not as dumb-looking as Batman v Superman: Dawn of Justice. A lot of that miniseries is throwaway, unless you love watching Darkseid stand around. But Hunter/Prey tells a memorable story. It turns out that, hundreds of thousands of years ago, on Krypton, a gang of scientists performed an experiment. They birthed a vaguely human-ish child in a laboratory, and released that child into the harsh landscape of Krypton, rendered by Jurgens as a prehistoric-but-also-postapocalyptic hellscape of monsters and poison air. The baby died: Aspyxiation, or maybe the heat. The scientists found the child’s remains, and cloned them into a new baby, and released that baby into the landscape. Death, again; cloned, again; over and over, again. The end result of all of this, naturally, is Doomsday, the endlessly adaptive killing machine. And, as you might expect, when Doomsday had achieved the pinnacle of his evolution, he decided to kill everything. The trauma of his infinite mortality had driven him insane. Or maybe “insane” is too simple a term. We know absolute power corrupts absolutely, and this vision of Doomsday suggested something like what would happen if you gave infinite superpowers to a one-day-old baby, a creature without even the concept of consciousness, whose only experience of the universe was death encoded in his genes. In hindsight, I wonder if this origin story was a bit of a gag, an embedded meta-joke by Jurgens. Superheroes die and come back to life all the time. That death-rebirth cycle is Doomsday’s whole origin story. Every death makes Doomsday stronger, but it also makes him lesser: Reducing him to his bare essentials, removing any hope of personality or humanity. Strangely, when you look at this origin story now, you are hit by a rather obvious realization: Doomsday is, first and foremost, a victim. In a more hopeful story, or in a framework that allowed some sort of empathy, Superman might realize that. That wouldn’t make Doomsday notan evil character – it would make him a character. But in the comic books, Doomsday was always just a thing. You didn’t need to feel any empathy for him. (Was it even a him?) Doomsday was The Other: Terrorist, communist, anarchist, pick your symbolic archetype. Who weeps for Doomsday? For some bizarre reason, two of the lamest supervillains in the history of comic books have taken center stage in two of the biggest superhero movies ever. Bane was in The Dark Knight Rises, and now Doomsday is in Batman v Superman: Dawn of Justice. I don’t love Dark Knight Rises – who does? – but you have to respect that movie for so badly wanting Bane to be something. He gives speeches that vibe proletariat and he preaches a gospel of self-actualized class warfare. The film can’t really commit to any of Bane’s big ideas, which is too bad. Bane attacks the stock market and declares war on the one percent. Imagine a movie where socioeconomic revolution was really Bane’s goal. Wouldn’t that put Batman in a weird place? Batman is a billionaire industrialist aristocrat who fights criminals. But what if Bane advocated something like the argument espoused by The Wire: That crime itself is a symptom of a poverty-stricken society, that all those criminals getting their heads non-lethally bashed in by Batman are never going to “go straight,” because the system itself is against them? Doesn’t Batman look like kind of a sicko, in this context: A rich dude who gets off on beating up poor people, always telling himself it’s for a good cause? But Dark Knight Rises is maybe way less interested in any of its themes than we are. In the end, Bane is just the cover for a madwoman on a vengeance kick. Somewhere in the middle of hour 2 of BvS, Lex Luthor takes Zod’s corpse into a Kryptonian spaceship, and puts him in a squidwomb Resurrection Matrix, and also adds his own blood, for flavoring. The Kryptonian Regeneration Matrix has a hilariously obvious history in comic books. When they killed Superman, they put him in the Matrix to bring him back to life. Ditto Superboy, a separate character, who also died, and was also reborn via Matrix. The movie adds in the idea that the Krypton Resurrection technology can also turn Michael Shannon into a big gray adaptoid, which only makes sense if we agree that nothing has to make sense, that Lex Luthor can have an email full of teaser videos of spinoff superheroes, and that Batman can then forward that email to Wonder Woman, who was looking for a hundred-year-old picture of herself because ????????? Poor, unloved Doomsday. If this is your first time experiencing the character, he’s just a thing who appears, something to cause destruction. There’s none of the real random wildness that powered the original Death of Superman story. And so if you care about comic book history, you have to wince at how he just gets kind of plugged into a story that’s not really about him. To produce the final act of Batman v Superman, director Zack Snyder and credited writers Chris Terrio and David S. Goyer mashed together the ending of The Death of Superman with a variation of the ending of The Dark Knight Returns. In the comic books, Doomsday was a force of nature, a mystery steadily revealed. In the movie, he’s a thing to punch towards. Superman stayed dead for several months in 1993; his casket’s already vibrating at the end of Batman v Superman. That maybe reflects the greater billion-dollar commercial anxieties underpinning Batman v Superman. There are teases for spinoffs, teases for characters we won’t meet for years. Wonder Woman does nothing of note in the movie – She slices Doomsday’s kneecaps! She wants her photograph! – and so she is less a true character than an embedded Product Placement. In one of Gal Gadot’s five or six scenes, she’s onboard a TURKISH AIRLINES plane: Product placement piled on top of product placement. Fly Turkish! Watch Wonder Woman!!!!!! And so maybe it makes sense that Batman v Superman brings back Doomsday. The character was never designed to be interesting, or even particularly original. He was supposed to bring in eyeballs. He was a comic book creation designed to destroy everything that used to define comic books. No more speeches by nice-guy heroes, no more goofy dialogue from wacky affectation-laden villains, no more plots, no more characters. There are infinitely better Superman stories. Heck, there are better “Death of Superman” stories. All-Star Superman sees the hero slowly dying from radiation poisoning, grappling with the meaning of his final days. “Whatever Happened to the Man of Tomorrow” looks back on another version of his final days. Zack Snyder killed Jimmy Olsen, but Alan Moore got there first. But most great Superman stories depend on us, the readers, caring about Superman as a human being, with history, and emotions, and a supporting cast. 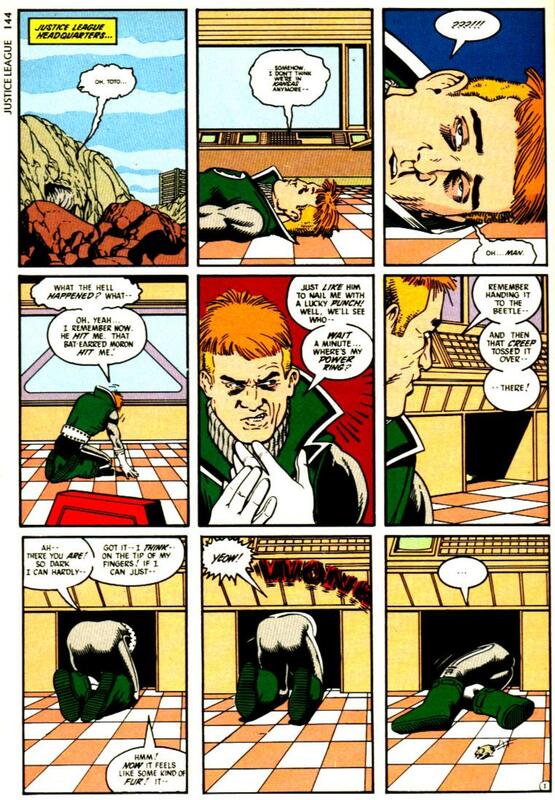 Alan Moore let Jimmy Olsen go down fighting. Batman v Superman introduces Jimmy Olsen just long enough to put a bullet in his head. The irony, in this context, is that superhero comic books of the ’90s don’t seem particularly innocent. Superman died. Batman was broken. Green Lantern killed all the other Green Lanterns. Aquaman grew a beard. (It wasn’t just DC, by the way: Spider-Man was a clone the whole time!) Somehow, two of those moments – attention-grabbing Events designed as publicity ploys, with big important transgressive Moments which ultimately weren’t transgressive nor really all that important – have been refurbished into feature films that treat that cheapness like Holy Gospel. But there is a weird innocence to Doomsday, although “simple” is the more operative word. You would think that the key to telling a new Superman story would be coming up with something bold, something new, something wild. This is the anxiety of influence that seems to power a writer like Grant Morrison; his most recent run on Superman ended with a fifth-dimensional being attacking Superman at several different moments at time, which is actually more confusing than it sounds. But the financial success of Doomsday offers a strong counterargument. Maybe all you need to do is build someone to punch Superman better. Maybe superheroes don’t have to symbolize anything. Maybe they don’t even need to be heroes. One of the weirdest things about Batman v Superman is that Batman doesn’t seem to particularly notice or care that Superman saves people’s lives – possibly because this Batman doesn’t even pay lip service to caring about killing people. Remarkably, this vision of Batman is actually powers-of-ten more cynical than the Batman in Dark Knight Returns, who spends all of issue 3 agonizing over the possibility of killing the Joker and still doesn’t ever actually kill the Joker. So Batman v Superman is something new, maybe: Nostalgia for cynicism. They brought back Doomsday just so he could die again. People bought it the first time. We’re buying it now. Jamie Lee Curtis got her love for onscreen mayhem from the musical Oliver!